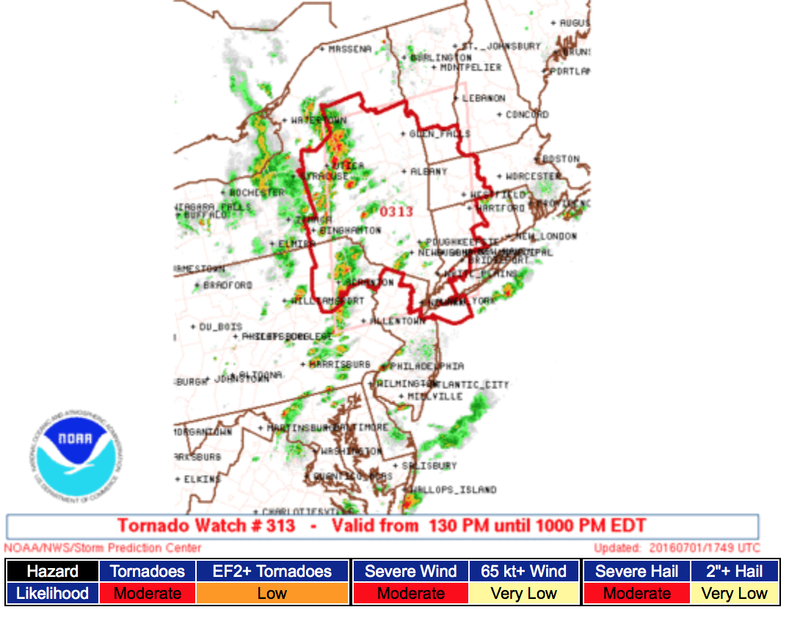 The tornado watch includes New York City and the area enclosed in red. It is in effect until 10pm EDT. If an earlier flight is available, I recommend taking it. The delays at this many major airports will reverberate across the system this afternoon and evening. 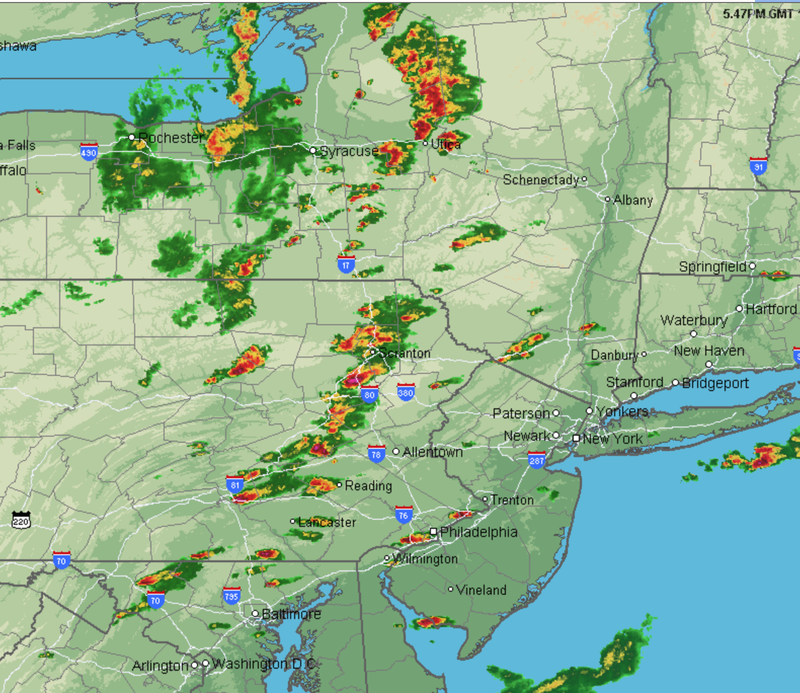 Here is the AccuWeather Regional Radar at 1:47pm EDT. 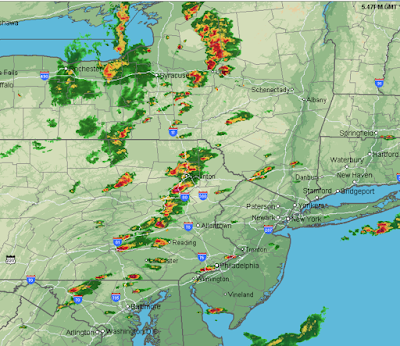 The thunderstorms will continue to intensify and move east or east northeast. 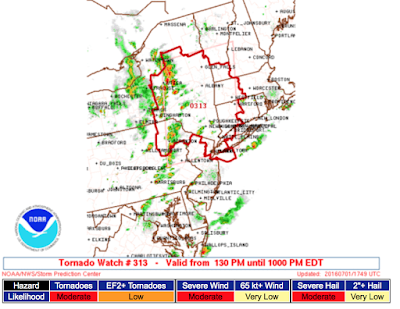 If you live in the tornado watch area, please monitor weather conditions for possible warnings. 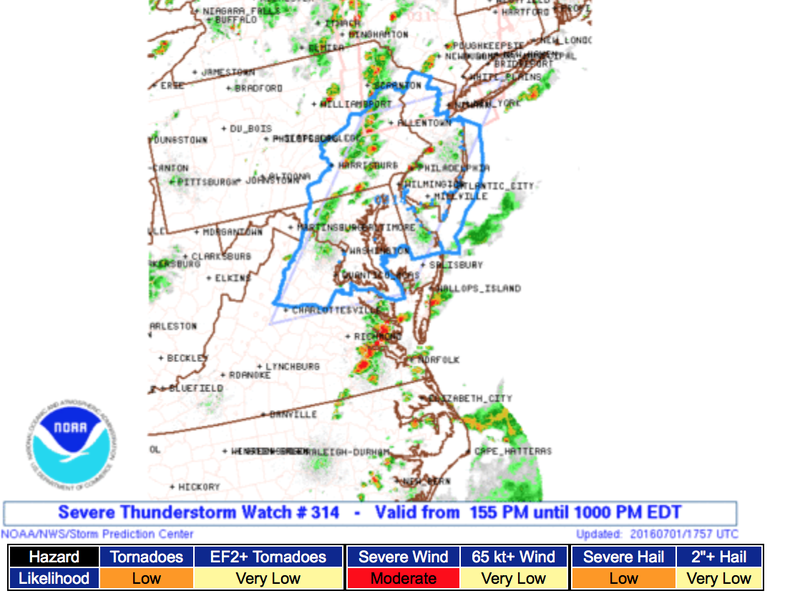 The primary danger is thunderstorm-produced wind gusts around 60 mph.